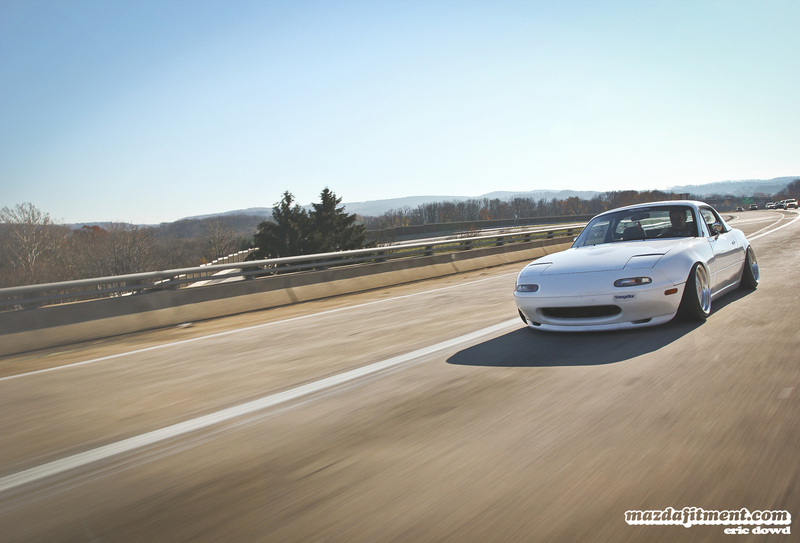 In a little town called Shillington, Pennsylvania lives a simple and sweet 1991 White Mazda Miata that gets some of the most positive and even negative attention in these parts. The car scene is fairly popular around here, and everyone for the most part respects each others cars and just has a good time with them. Well, this beautiful roadster is owned by 21 year old Taylor Breneiser. Taylor got into cars when he was about 18 years old. All his friends owned Volkswagens, which lead him to attend Volkswagen shows. Immediately he feel in love with the cars, the people, and the overall feeling he got going to these shows. If you aren’t familiar with that sensation, get yourself out there! 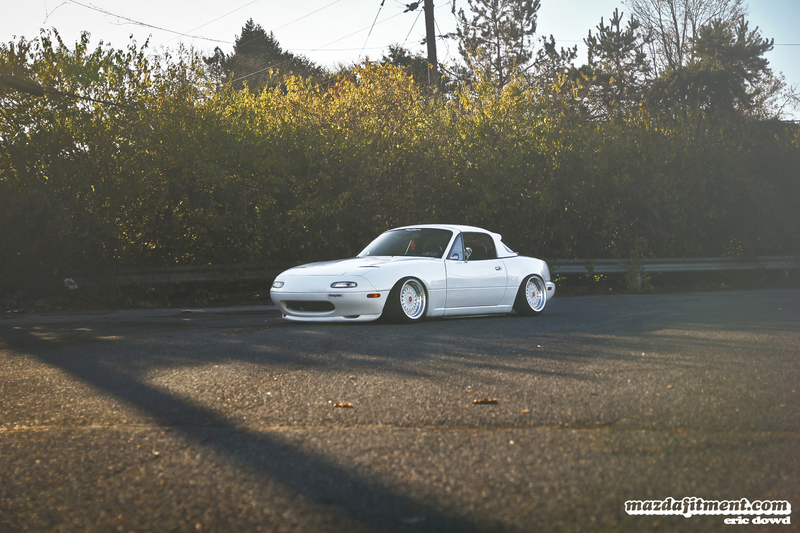 Not knowing much about them at all, Taylor picked up this 1991 Miata at a local car dealership completely bone stock. 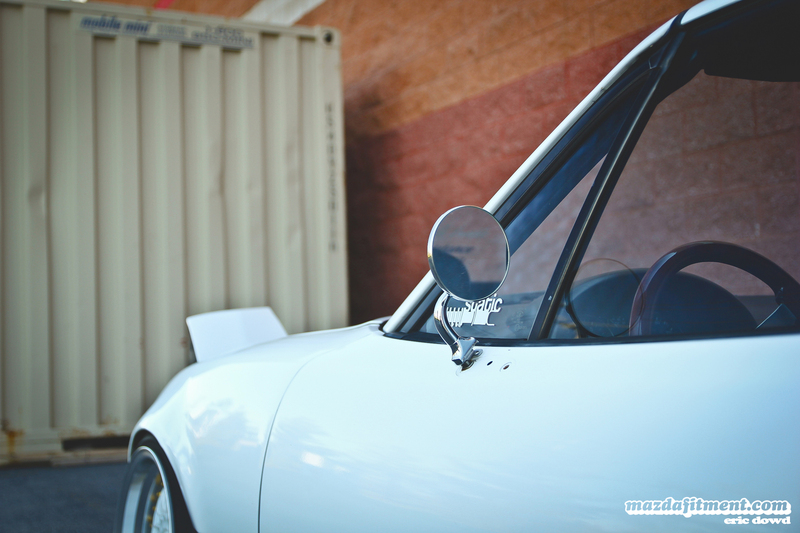 Taylor has always loved how the Miata looked compared to every other car on the road; just straight up different. 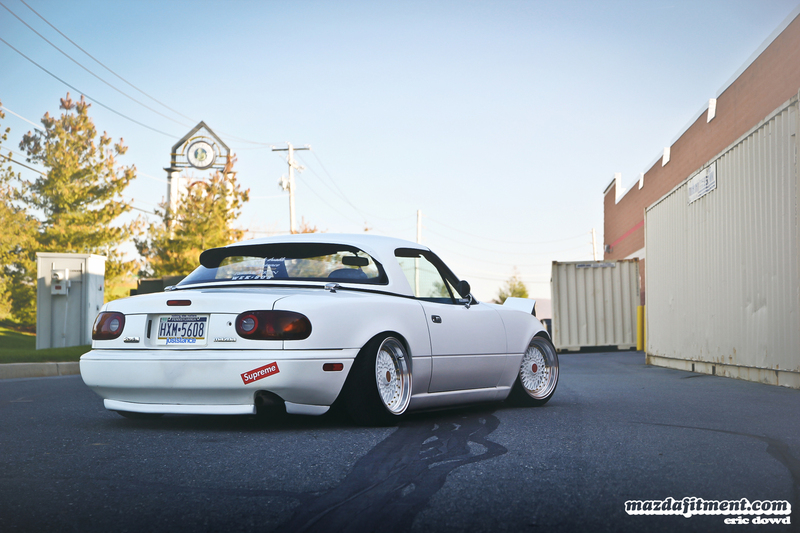 He figured a Miata would give him just that. Well, it sure did! The looks Taylor got in this thing is unreal. Some people will love it in your local area, but equally some hated it as well; mainly the local police. 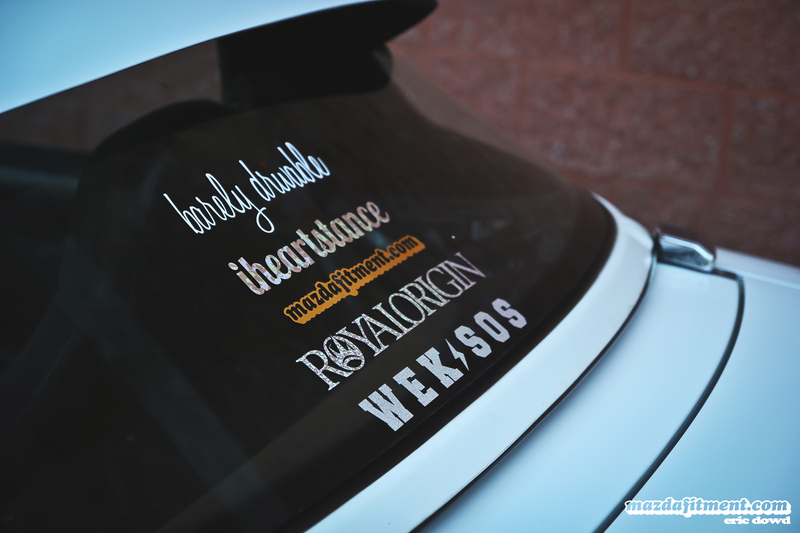 Taylor showing love and support to Barely Driveable, Iheartstance, yours truly, Royal Origin, and Weksos Industries. Love you too Taylor! 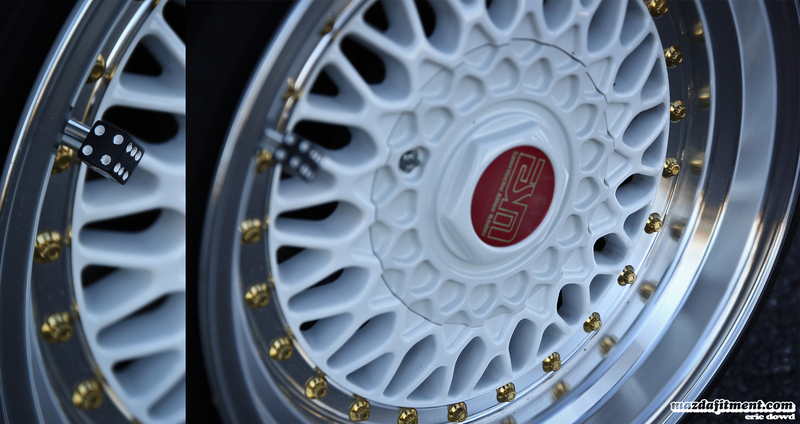 Detailed shots of the ESM 002 wheels showing the replication of the classic German mesh design. A nicely fitted and low roadster just grabs your attention and love for this thing! Taylor would like to give a huge shout out to his brother Christian Breneiser. Without him this car would definitely not be what it is today. And to all Taylor’s good friends who helped make this car possible! We would like to thank Erick Dowd for getting these shots to us! Check out more of Eric’s work on his Flickr page: http://www.flickr.com/people/56498043@N08/ And thank you Taylor of letting us share this with the community! 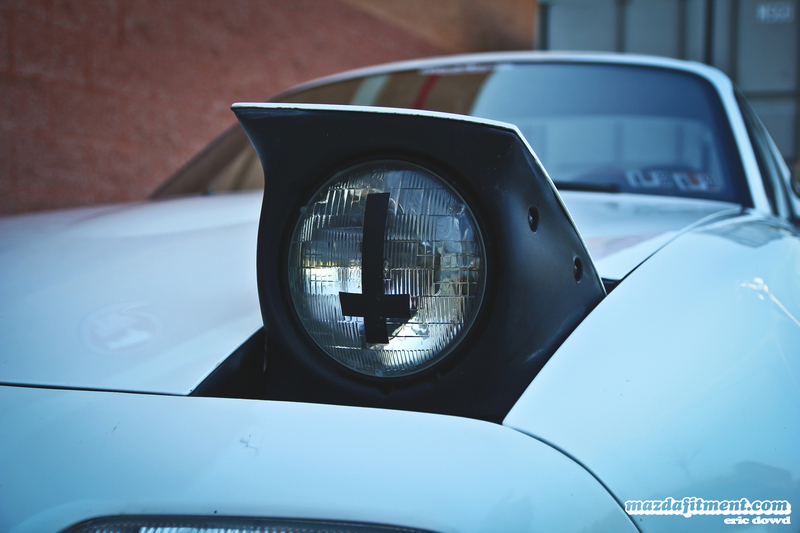 Awesome car and awesome shots… but sheesh, can we proofread the features before posting them? what adapter did you use to fit the grant steering wheel on?